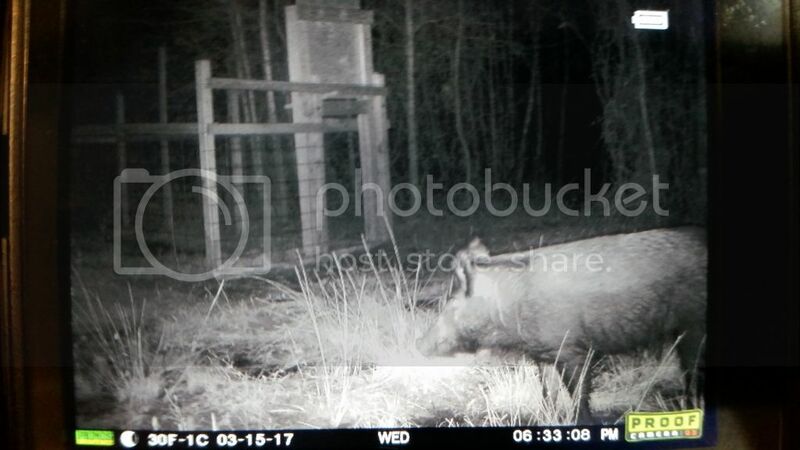 At the end of deer season I got a few hog pictures at my new homeplace. My brother helped me build a hog trap.I've still got door propped open . Should not be long before i set the trap soon.